This evening, we had another fantastic demonstration of just how far you can take your Salesforce software. 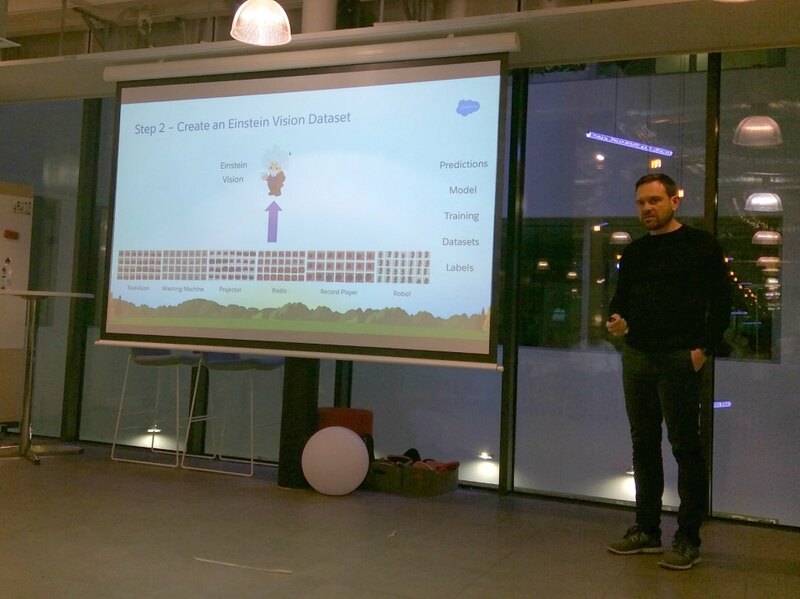 As the Brighton Salesforce User Group, Sanjay Pradhan and Simon Cook, senior innovation engineers from Salesforce, gave us a ‘Dreamforce2You’- kind of overview of what is under the hood / on the roadmap in the short term in terms of Salesforce Lightning – its new interface-, and Salesforce Einstein – its Artificial Intelligence capabilities. Their presentation was fantastic. 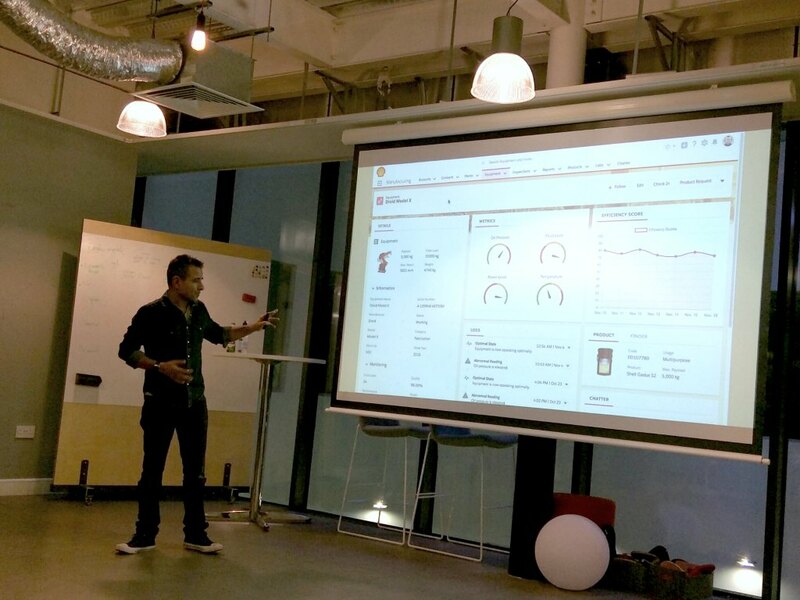 Like after Sanjay’s and Simon’s innovation presentation last year (, written up here: Salesforce Einstein 101), I am writing this with my head dazzling with new ideas for our existing and new clients. 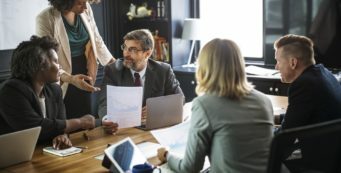 Right after Dreamforce last October, I wrote about ‘Intelligent Marketing‘ – which gives an overview of the various Salesforce augmentations that literally transform digital marketing into intelligent marketing — with artificial intelligence woven into the canvas of a company’s marketing plan and ongoing execution. 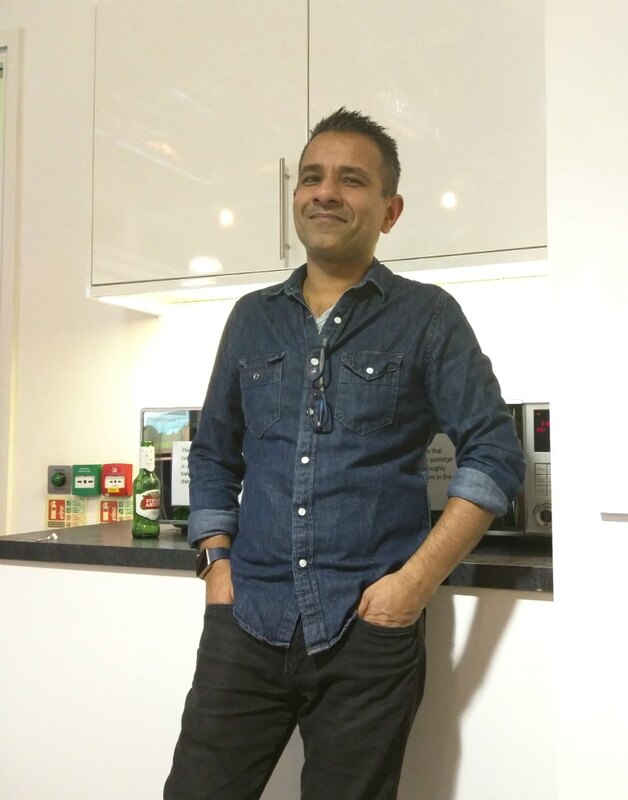 Sanjay added AI insights and features to my list of interest to Digital Marketers, and showed how Artificial Intelligence can be used profitably in other departments. If you are still struggling to get your sales reps to switch to Lightning, show them my video on this topic to convince them all the way: Salesforce Lightning Benefits for Sales AEs and Managers. The Benefits, short & sweet: close more and bigger deals, faster, better, and more enjoyably. How much? Depends on how you are using Salesforce today and to which degree you are planning to leverage Lightning’s new ways of working. However, I think that adding 10% to your top line by switching Lightning is achievable for any business. And then some. Some managers consider artificial intelligence and virtual reality to be things that other companies do. They think it’s not for them nor suitable to their business. If you are one of those managers, take note: Both Salesforce Einstein’s artificial intelligence and virtual reality can bring benefits to any kind of business. Simon Cooke gave us a great demonstration of this. Imagine the service, maintenance & repair division of company x. Company X sells 5 different kind of machines. A Salesforce Community self-serve customer or a maintenance field staff could take his phone to scan the particular machine on site. Einstein has previously been fed 50 pictures of each of the 5 machines (photos from all angles – see them lined up in the slide above). 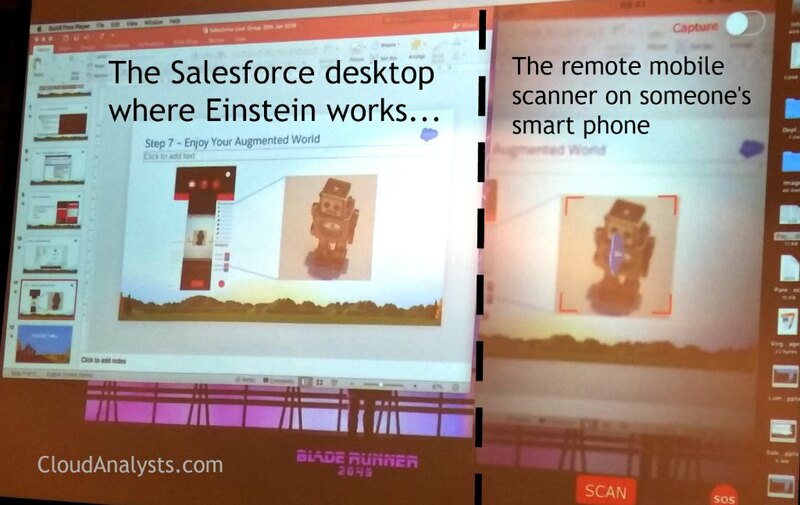 Based on the scan, Einstein recognises which of the 5 products is giving the customer problems. Then, in a virtual reality mode, Einstein pops up Salesforce Knowledge articles that relate to that particular kind of machines, and tip sheets on how to troubleshoot common issues for that particular machine. It’s not just for simple, single machine- situations either. In this virtual reality world, you can keep the documentation open for each object you are scanning, so you can handle very complex, multi-machine situations. As you move around the room, from machine to machine, the associated info sheets are available in VR. 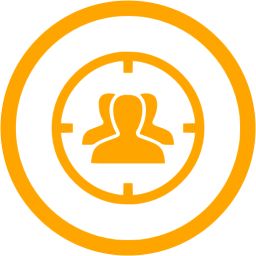 Your repair staff/customers be solving their on-site problems faster and better as they are reminded of Best Practices at the exact moment of repair. Salesforce Einstein AI: Easy to Config. Simon created this fictive demo together, using pictures of a robot, a washing machine, a switch board, and two other objects. It took him just 2 days to put this app together, mostly with clicks, barely with code: just 2 paragraphs of Apex. Now, let your imagination go wild: this is applicable to any kind of hands-on training, insurance claim handling, museum tour – interactive experiences, a virtual operating theatre med classroom experience, a maintenance check-up, and customer self-service. Yes, it’s applicable to your business too. The sky is not the limit. The limit is your imagination. Are You Ready to Disrupt? Contact us for a free consultation and let’s get the ball rolling to get you and your business Lightning and Einstein -empowered! Are you ready for more sales and disrupt your industry? Now is the time.